We will submit for out of network benefits for Cigna. 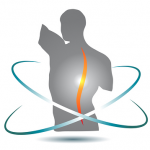 We will gladly file your claim whether we are an in or out of network provider for chiropractic services only which include chiropractic exam, chiropractic adjustments, some rehab, some kinesiology taping, electrical stimulation, some chiropractic muscle work, and the spinalator traction table. Be sure to familiarize yourself with your insurance benefits because it is impossible for us to keep up ith what is covered per plan per policy per patient, but we will provide you an estimate based on the information given to us by your carrier. Your estimated cost is due at the time services are rendered. Acupuncture is a cash service and is due at the time of services. It will not be submitted for benefits. It is important to understand that we do not have a contract with any insurance company. We remain non-responsible for how your carrier handles claimsand what benefits they pay on a claim. Therefore, we cannot guarantee what an insurance company will do with each claim filed. Massage and Hydrocolon therapy are separate business and are not owned or run by Clayton Chiropractic Center. Please note: Acupuncture, massage, and colonics are cash services and will not be submitted to insurance. We will NOT print out any codes for you to submit to insurance for these services. If you have a different company, feel free to call and check as new insurances are being accepted all the time.